To provide an overview of Craig’s writing we have selected some quotes from some of his published articles. I remember lying on the concrete floor, my naked body shaking from the bitter cold and isolation that ran through me like an alternating current. With the sound of dried blood crackling in my beard and toilet paper wrapped around my hands and feet, I wondered what I had left as a human being. The world and all of its social structures that had comforted and conditioned me up to that point evaporated, I was no longer part of the social world, and I could not picture what lay beyond the inner walls of the cell, it was all blank. So I thought of what I was, I looked to that part of me which they could strip from me, or beat out of me, and then I concentrated on the warm patches that were my bruises and striped shaped baton welts, and tried, and succeeded, in making the warmth spread by an act of imaginative will. I slept. Another day in the isolation of an Australian prison. So WorkCover does not have jurisdiction and the State Government has taken away the common law right to sue one’s employer, not that I am “employed” anyway, so who has jurisdiction if a prisoner is injured whilst working a machine or driving a forklift? The answer of course is no-one. People pay. People will pay to read the book of my life. People will pay to watch the movie of my life. People will pay to be entertained by the violence that I was, the violence that was and is done to me. People will pay for any violence, The Big Hit,the Reservoir Dogs, the hero lives, the Pulp Fiction, the hero dies, the True Romance, the blood runs and people pay and never stop paying. Craig Minogue, ‘The Magic Bullet: Education and the Answer to Crime in Australia‘, House of Representative Standing Committee on Legal and Constitutional Affairs – ‘Inquiry into Crime in the Community: Victims, offenders and fear of crime’ Canberra, July 2002. Also published in Crossfire No.10, 22.07.2002, Deakin University Geelong, pp. 16-19. Why should prisoners be allowed to educate themselves? Prisoners should be directed in education and training, and not exploited by in-prison industries. For a person in custody, especially a person held for a long term, to have the best chance of not re-offending upon release is for that person to have opportunities to do something positive with their lives, to have an enlightened and educated view of the world and their place in it. This would be beneficial to everyone concerned especially the community, and the community should appreciate that it has a vested interest in educating and training its imprisoned citizens and helping those people find the right path, not simply exploiting them as commercial fodder in slave labour industries. What international remedies are available to agitate prisoners’ rights issues? In theory, Australia is internationally accountable for violations of the ICCPR, including by Federal, State or Territory governments under the provisions of the First Optional Protocol (“the FOP”) to the the ICCPR. Article 1 of the FOP states that Australia will ‘recognize the competence of the [Human Rights] Committee.’ The Commonwealth Attorney-General, … has made the current Commonwealth Government’s position on this issue clear; and that is to deny responsibility. Craig Minogue, ‘Human Rights and life as an attraction in a correctional theme park’, Journal of Prisoners on Prisons, Canadian Scholars Press Toronto, Volume 12, 2003 pp.44-57. I have been in prison since May 1986, and since then it has been the routine practice of prison authorities in the Australian state of Victoria to display prisoners as one would display animals in the zoo. … The tour groups come from colleges of technical and further education, Universities, social workers, community groups like Lions, Apex and Rotary Clubs. Police and prison officers visiting from interstate and overseas (tax write offs), television producers and crews (making crime shows more realistic), and the friends and family of prison staff and sundry others make up the tour groups. Craig Minogue, ‘Excluding Prisoners from the FOI in Victoria‘, Freedom of Information Review, No. 104, April 2003, pp. 26-30. In this age of information, it can be said that information about your affairs is part of who you are as an individual. When that information is concealed the individual starts to feel as invisible as the documents that cannot be released. The concealment of information, and the suppressing of individual humanity has become part of the prison power game in the form of the convuluted FOI processes.I hear prisoners say: “When I was a real person…” meaning: “When I was outside…” I say this myself because there it is a kind of reverse empowerment in accepting the lowly status and then throwing it back in the faces of the people who profess to be the forces of law and order in an egalitarian society, but who are in fact the forces of discrimination and oppression. There is, however, a very real problem associated with the exclusion of people from a soceity to a point where they are considered, and come to view themselves, as nonhuman. The problem is, that the pain experienced because of that exclusion will be returned ten fold, when those dehumanised and disenfranchised people are released into a community to which they owe nothing but bitterness. Craig Minogue, ‘That’s when the trouble started: Tertiary study behind bars‘, Crossfire (Deakin University Student Association Magazine) Issue 3, May 2004, Deakin University Geelong, pp. 16-17. I received a book from the University library … It was titled Master of Wisdom: Writings of the Buddhist Master Nagarjuna. It is a large hard covered book with colour plates and translucent pages protecting the plates. This book came in with a number of others in a large envelope. I saw that the book had been damaged on the leading edge, and that it had a number of large gouges out of the covers and scrape marks on the edge of the pages. I inspected the envelope thinking it have been damaged in the post, but no, the envelope was fine.I sat with the book in my hands looking at the very fresh damage, and it came to me, a voice, the book itself spoke and revealed what had happened to it in its journey to me through the prison mail room. “Who [smash on the edge of desk] does this fucken Minogue [smash on the edge of desk] think he fucken is [smash on edge of desk]? Craig Minogue, ‘A Pathology of the medical treatment of a prisoner‘, Charter, Edition 61, Autumn 2004, pp. 10-11. The bad feeling in the Unit built up because one of our fellow prisoners was dying and nothing was being done. A prisoner, who had a reputation for violent direct action, indicated to staff that he had an improvised knife, he showed it to them, and said “I will run to Paul’s cell now and stab him, so he will then get medical attention, or will you do something now?” Men were standing on the second storey landings of the Unit calling out support for the man at the officer’s station brandishing the knife.This story of neglect … is not at all unusual. Prisoners who cannot, because of illness, walk to the medical centre are routinely told: “Well, if you can’t walk down to the medical centre you’re too sick to see the Doctor.” I have helped carry sick, semi-conscious men to the officer’s station and deposited them in the doorway so the staff can’t move in and out for their coffee and cigerette breaks – “You can’t leave him there Minogue” they bellow after me. Craig Minogue, ‘The Use of a Military Level of Force on Civilian Prisoners: Strip Searching, Urine Testing, Cell Extractions and DNA Sampling In Victoria‘, Alternative Law Journal , Vol. 30, No. 4 August 2005, pp.170-173. The fact is that in Victoria extreme force is routinely used by police and prison officers, and sadly this is not just a problem about the conduct of police and prison officers, as medical professionals and scientists uncritically accept these procedures for taking a forensic sample, which by their very nature can only but violate the human rights of an individual. This is no academic point. At Bendigo Prison men were gassed and assualted with a life threatening level of force to make them compliant enough for unlawful DNA samples to be taken. * While these attacks were taking place, medical professionals and scientists stood by until it was their turn to step in and penetrate the skin and take the blood. * For the Supreme Court finding that taking DNA sample was unlawful see Lednar & Ors v Magistrates’ Court and Anor(2000) Vol.117 Australian Criminal Reports, p.396. Bree Carlton and Craig Minogue, ‘It’s Back to the Future: Have the Lessons of Jika Jika Been Forgotten?’ Presented by Dr Carlton at the 11th International Conference on Penal Abolition (ICOPA), at the University in Hobart, 7-11 February 2006. Rather than teaching by example of humanity, inhumanity is the guiding modality of the hi-tech ‘supermax’ and ‘management’ prison. In short these ‘prisons within prisons’ are making it worse not better. The problem for the community is not just that the modalities of the hi-tech supermax and management regimes are inflicting physical and psychological harm on a small number of people held in these units, and who will one day be released back into the community. Such hi-tech, dehumanizing modalities are also becomeing the norm, therefore extending the damaging impact to those imprisoned in the mainstream prison system. This process of ‘normalization’ of the maxi-maxi security regime, or what has been referred to as a process of ‘Marionisation’ is currently underway in all areas of Melbourne’s Barwon Prison. It’s Back to the Future: Have the Lessons of Jika Jika Been Forgotten? 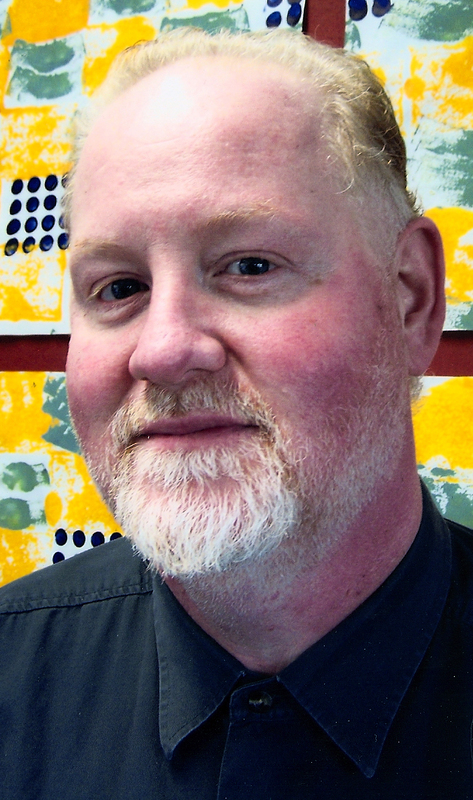 Craig Minogue. ‘Reading and writing as resistance and reformation‘, a book review of Unlocking the Prison Muse: The Inspiration and effects of prisoners’ writing in Britain by Julian Broadhead, Punishment and Society, Vol. 10, No. 1, 2008, pp.79-81. Mark “Chopper” Read here in Australia writes barely literate swashbuckling accounts from within and without prison. In Read’s work prisoners and ex-prisoners are detestable, unremorseful arseholes whom he brings to a violent end one way or another. No chance of anyone feeling sympathy for those that get their violent comeuppance in this genre that the authorities seem to like. I am not suggesting the prison writers who have been published are all lickspittles who reinforce stereotypes of prisoners. That prison authorities allow some writing needs to be seen in light of the mind game of inconsistency which is a part of the arbitrary use and abuse of power. The important conclusion of the research presented in Unlocking the Prison Muse is that serious prison writers should be encouraged to read and write … so they can build a crime free future for themselves, as opposed to the ghost written swashbuckling accounts which should be discouraged as they only feed into the preconceptions of those with vested interests, and do not advance justice for any person honestly concerned with the issues of crime and punishment.